The information provided does not match our records. Please contact us at mmsales@macmotors.com for further assistance. 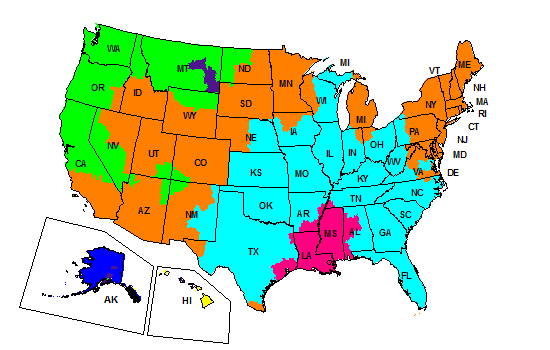 These maps illustrate service schedules in business days as of August, 2018 for FedEx Ground shipments. Please note: The map above is a general representation of transit times for FedEx Ground shipments to commercial destinations. In limited areas, transit times may differ between shipments to commercial and residential destinations. For specific transit time information from one ZIP/Postal code to another, please go to Get Rates & Transit Times under the Ship tab on fedex.com. FedEx Ground business days are Monday through Friday (excluding holidays). FedEx Home Delivery business days are Tuesday through Saturday (excluding holidays). Example: A package shipped via FedEx Ground on Monday with a transit schedule of 2 business days, (not including the day the package is shipped) would be expected for delivery on Wednesday. A package shipped on Friday with a 2-day transit schedule would be expected for delivery the following Tuesday. Copyright Mac Motors All rights reserved. *Prices displayed on the website are valid for material currently IN STOCK only! Please send an RFQ for additional quantities or for out of stock items. This catalog is designed to assist you in finding the parts you need for your vehicle. It is not the complete list of parts that Mac Motors carries nor is it the complete list of parts that are on the HMMWV. The most popular sections are included, and more information will be added every week. If you do not see an item you need or have any questions, please contact our sales team for immediate assistance. Mac Motors is here to help you purchase the correct parts for your vehicle repairs and specialized upgrades. Thank you for your business.